In a show of community support and kindness, residents of Fulton, Texas are looking for volunteers to help construct a brand new playground in Fulton Beach Park. The upgraded play area will replace the one that was wiped out by Hurricane Harvey, with an added bonus: it will be all-inclusive. Statistics show that less than one-third of all children get enough daily exercise (which is considered to be 25 minutes of high-calorie-burning physical activity, three times a week), and children with physical and mental disabilities are well below that. 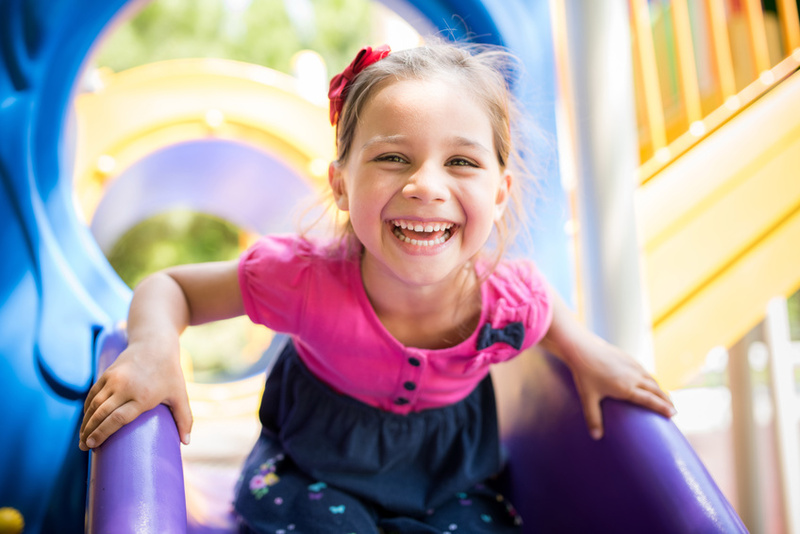 The custom playground parts, such as handicap swing chairs and handi-capable ramps, allow outdoor playgrounds to be as fun and accessible for disabled children as they are for fully capable kids. "No child shall be left behind, I strongly believe that statement," says Fulton Mayor Jimmy Kendrick. "It's is going to give them a chance to be a part of the other kids playing in the playground." The massive project, currently supported by the non-profit KaBoom! and the Rebuild Texas Fund, will be able to hold "75 people at one time." By implementing wide ramps and supportive swings, Mayor Kendrick seems to be serious about his goal. Rubberized playground swing mats are also being added to make it easier for parents to push wheelchairs around without compromising the safety that a thick layer of wood chips usually provides. The town has all the components necessary to build the amazing, all-inclusive playground -- they're simply lacking hands to do the work, which is why Mayor Kendrick is calling for a little extra community support to get the ball rolling. Fulton embodies a community ideal: that several different organizations and volunteers can come together to create something for those that can't create it themselves. When Fulton Beach Park lost its playground to Hurricane Harvey's devastating power, the residents feared they would no longer be able to let their children and grandchildren experience the joy they felt growing up as they explored the playground climbers and played tag in and around the structure. As a community, they pulled themselves up out of the ashes and are on their way to something wonderful -- a park that all children can enjoy. Something as simple as rubberized playground swing mats can make a world of difference to a parent who is finally able to watch their child experience the true delight of youth.